100 years ago, a small group of printers and book designers in New York City founded AIGA (American Institute of Graphic Arts.) Today, with 25,000+ members practicing multidisciplinary design across the country and throughout the world, the organization plans to celebrate in a big way. 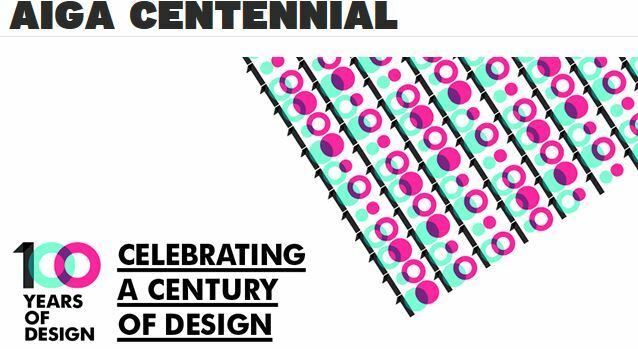 AIGA invites you to explore the impact of design over AIGA’s first century—and beyond—on the interactive site 100 Years of Design site. Your perspective is key to making this site a true reflection of design’s past, present and future: add your favorite examples to the project before the full site launches on January 21, 2014. In addition to the website, AIGA is planning The AIGA Awards Gala to honor the distinguished practitioners, educators and role models whose creativity and ingenuity have inspired and shaped the entire design profession. The event takes place on Friday, April 25, 2014 in New York City. More information can be found here: http://www.aiga.org/the-aiga-awards/. Allovus is a proud member of AIGA. We are excited to celebrate the next 100 years with this esteemed organization. For more information about AIGA, visit their site: http://www.aiga.org/. Tags: AIGA, celebratedesign, design, graphic design. Bookmark the permalink.